One of the great genetic engineering game changers is currently embroiled in a heated custody battle. Patent rights for CRISPR-Cas9, developed simultaneously by Jennifer Doudna and her collaborator, Emmanuel Charpentier, at the University of California at Berkeley and Feng Zhang of MIT and Harvard’s Broad Institute, are being vehemently fought for in December 2016 in Virginia. The outcome of this case has the potential to revoke patent rights already awarded to the Broad Institute back in 2014. CRISPR, which stands for Clustered Regularly Interspaced Short Palindromic Repeats, was first identified in the late 1980s. However, the invention of the specific CRISPR-Cas9 system as a gene editing tool by Doudna and Zhang several years ago spotlighted its potential to be a rock star in genetic engineering. By late 2014, hundreds of papers were published theorizing the use of CRISPR in immunotherapy, the development of biofuels, crop modification, and various other applications. The great appeal of CRISPR is that it can be employed to make site-specific DNA sequence changes with less chance for error whilst targeting almost any site on a DNA molecule. Zhang, one of CRISPR’s inventors, likens it to fixing typos in a novel. The Cas9 protein finds a specific sequence of bases in DNA that needs repair or modification, and cuts it at that point. This cut, or series of cuts if required, can then either be used to insert new corrected DNA (much like a find and replace option on word processing software), or introduce a mutation (much like introducing a spelling change into a word). 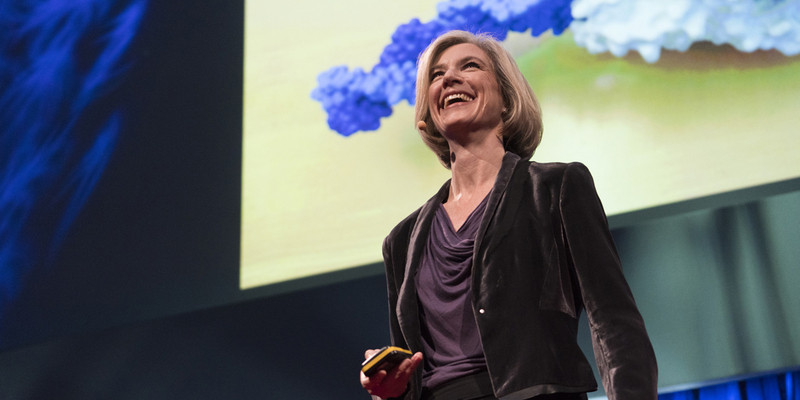 Doudna was the first of the two researchers to include her CRISPR findings in a patent application and an article in Science in 2012. Zhang later published his own work in 2013 and received a patent for it in 2014. The dispute lies in who originated the idea for CRISPR-Cas9 first and developed it into a novel method for future work. UC Berkeley argues that Doudna’s ideas provided a basis for Zhang’s work, which weren’t innovative anyway because they were basically tweaks of conventional methods. Conversely, the Broad Institute insists that Doudna’s early work only theorized about the use of CRISPR in eukaryotic cells (human, plant, and animal) without any detailed road map to achieve it. In a priority statement released by the Broad Institute, Zhang’s lab also claimed to have been working on components of CRISPR-Cas9 since February, 2011, giving them first patent rights. The fundamental controversy in this case lies in what part of CRISPR is patentable, and the question of whether Zhang’s patent attempts interfere with Doudna’s original patent application. The Broad Institute has argued that all Doudna’s lab showed was that Cas9 could cleave DNA in a test tube, without any genetic editing taking place. According to them, Cas9 itself cannot be patented because it is a naturally occurring protein and its cleaving of DNA is a normal bacterial process. Zhang’s lab is then only seeking to patent the components and processes developed for CRISPR-Cas9 for genome editing in eukaryotic cells. Doudna’s lawyers, on the other hand, are attempting to prove that Doudna expected CRISPR to work in the ways identified by Zhang, so she had the idea first, and was thus the first inventor. They also claim that when the Broad paid for the patent office to expedite the review of Zhang’s 2012 patent application, it interfered with Doudna’s 2012 application still sitting in review. The first hearing before three judges of the US Patent and Trademark Office (USPTO) drew sizable crowds, including researchers and patent reviewers, who were curious about this unique case. While both UC Berkeley and the Broad had twenty minutes for arguments, the former was put on the defensive with intense questioning about Doudna’s early expectations of CRISPR’s capabilities. Following arguments made by lawyers from both sides, the hearing closed without a firm decision from the panel. UC Berkeley and The Broad Institute are now faced with one of three options. If the panel sides with Doudna, she could be granted rights as first inventor and receive patents already awarded to Zhang. If Zhang is determined to be first inventor, the Broad will end up with a widespread patent base with which to license out CRISPR technologies. Finally, both could be considered co-inventors, which would likely spur more debate and potentially get ugly. A final decision regarding the case isn’t expected until early 2017.